While providing K-8th grade scholarship support for low-income Philadelphia children is CSFP’s top priority, we understand the value in providing additional resources for the families of children in our program. CSFP runs several supplemental programs throughout the year to meet specific needs of our program constituents, many of which have been identified by our annual program evaluation. Not all learning happens in a classroom! We’ve compiled some great free or low-cost ways to keep your kids active and engaged when school’s out – during both the school year and summer break. CSFP believes in the power of quality education, beginning in Pre-K. To that end, we have teamed up with several organizations in Philadelphia to increase awareness of the importance of quality Pre-K for low-income Philadelphia families. We also work with our more than 170 partner schools to help them increase quality Pre-K programming. Looking for Pre-K scholarships? 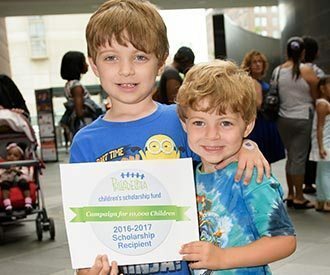 CSFP will offer a limited amount of Pre-K scholarships to children entering Pre-K4 in Fall 2019. Learn more. CSFP wants to see our graduates thrive in high school and beyond! Take a look at all of these great resources about high school internships, college prep, and more. Follow us on social media to keep up-to-date on resources as we find them.